These recommendations help to analyse and prepare excavations, similar to a set of standards. For this new edition all recommendations have been reworked, chapters on the modulus of subgrade reaction method, FEM and soft soils have been added. 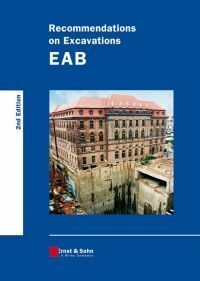 Edited by the TC "Excavations" of the German Society for Geotechnics (DGGT).